Akio Toyoda faces a difficult choice as leader of the world’s most profitable carmaker: ramp up incentive spending to ward off rivals in a shrinking U.S. market, or try to preserve margins. Toyota Motor Corp. is scheduled to report annual earnings on Wednesday, with a stronger yen also among concerns for the chief executive officer. The report is scheduled for 1:25 p.m. in Tokyo, followed by Chief Financial Officer Koji Kobayashi’s presentation for journalists and investors. CEO Toyoda will then outline the company’s longer-term strategy from 2:30 p.m. Previously, Toyota published its earnings reports after market close. 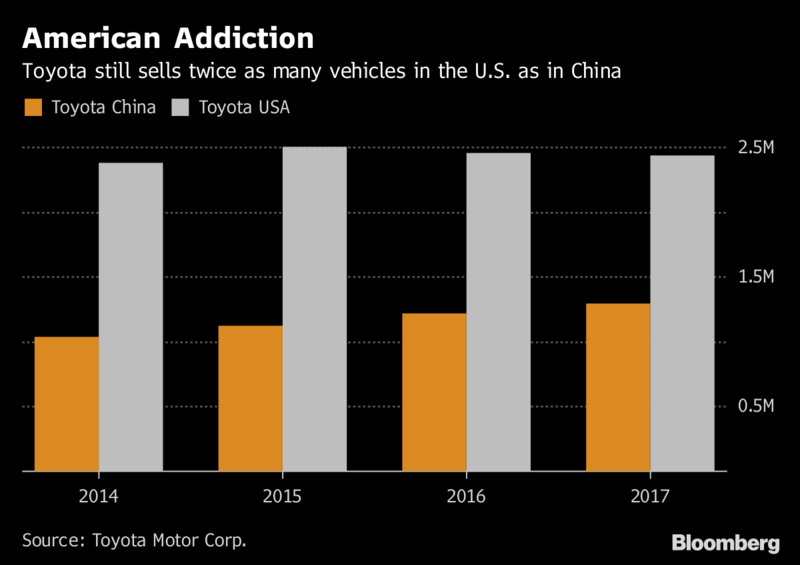 Toyota relies heavily on the U.S., and intensifying competition in a shrinking market is putting pressure on its profitability. To lure buyers, Toyota boosted incentive spending by almost 6 percent in the first three months of the year, in line with the overall industry and less than the 10 percent increase by General Motors Co., according to Autodata Corp. Compared with other Japanese carmakers, Toyota’s shift from the U.S. to China has been slow. 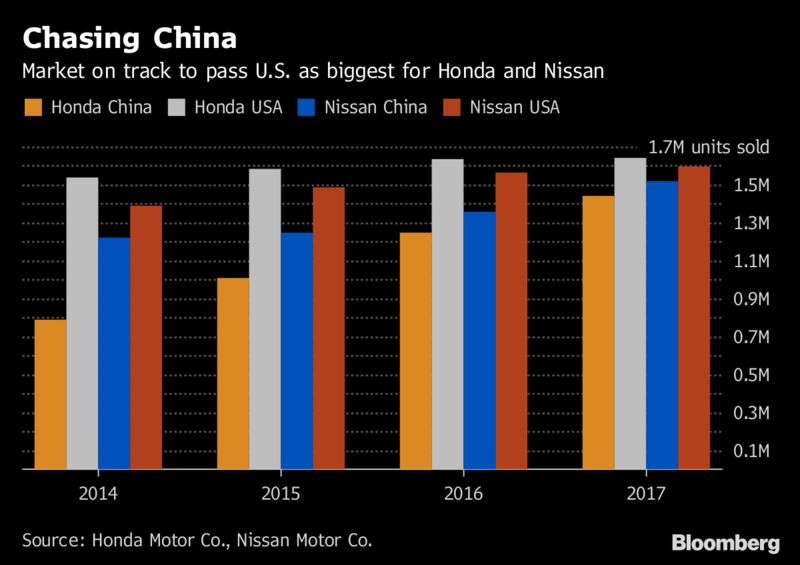 While China is on track to become the biggest market for Nissan Motor Co. and Honda Motor Co., and already is for Mazda Motor Corp. and Mitsubishi Motors Corp., Toyota only sells about half as many vehicles there as in the U.S. Source: Honda Motor Co., Nissan Motor Co.
reduction in import tariffs this year. forecasting an average of 105 yen for the current fiscal year. Cost-reduction efforts have been stepped up under CFO Kobayashi, who took the position at the start of the year following a 15-year stint at affiliated company and key supplier Denso Corp. The 69-year-old, who once was Toyoda’s boss, said in February the saving effort was yielding results at an accelerating rate. The reason for the urgency is the need to free up funds to invest in advanced technologies as competition intensifies from traditional rivals such as GM and Silicon Valley giants like Google. Toyota’s R&D spending reached a record last fiscal year — and could go beyond that this year. Toyota has been vocal in recent months about its electrification push, after CEO Toyoda admitted in September to being “a little bit late” in pursuing purely electric cars. The strategy rethink comes as China prepares to introduce zero-emission vehicle quotas from next year. 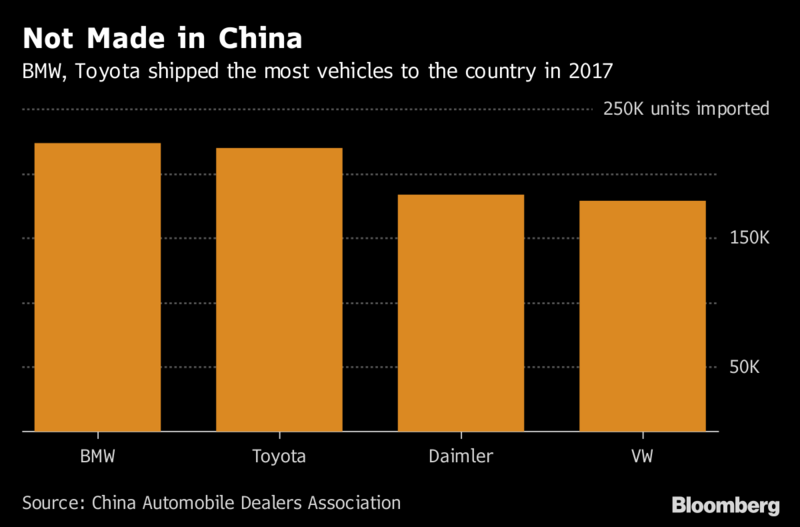 At an auto show in Beijing last month, Toyota announced it would have 10 new electrified models for the world’s biggest auto market by 2020, even as it delayed the introduction of a plug-in hybrid Corolla by a year. 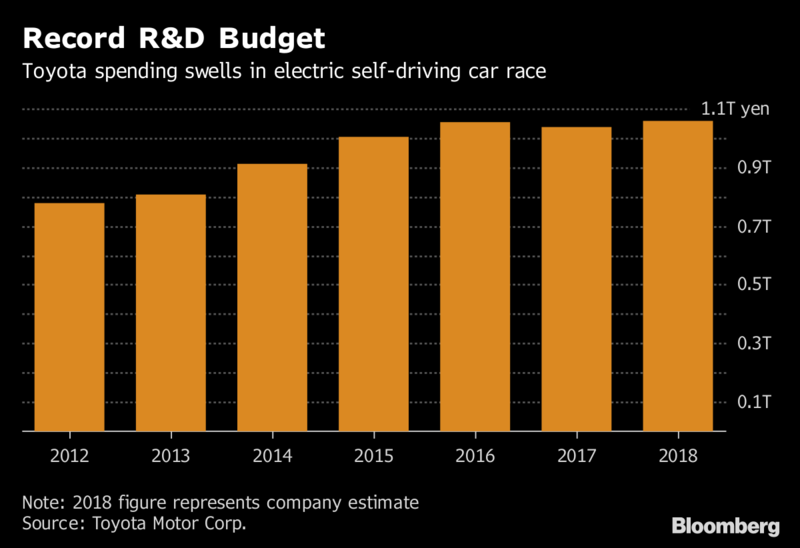 The other big focus is Toyota’s autonomous driving plans after fatal accidents involving cars of Uber Technologies Inc. and former ally Tesla Inc. this year. The Toyota City-based automaker reacted by pausing tests of its fully autonomous Chauffeur mode on public roads. The longer-term fallout may be a strengthened resolve to focus on its Guardian mode program, which is designed as a safety net — rather than as a replacement — for drivers. At the start of the year, CEO Toyoda pledged an era of increased speed in decision-making and openness to partnerships. And he made good on that immediately by announcing collaborations with ride-sharing leaders Uber and Didi Chuxing, plus Amazon.com Inc.’s Alexa voice assistant and Apple Inc.’s CarPlay infotainment system. battery-electric vehicle in 2020. Toyota and Mazda Motor Corp. are building a $1.6 billion factory together in Alabama after announcing an equity swap in August, two years after first starting talks on collaboration. Toyota and Suzuki started their discussions toward a partnership in February of last year.